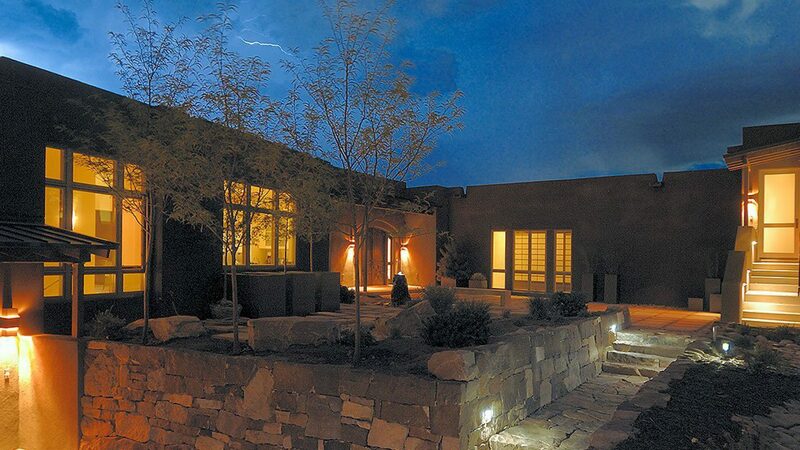 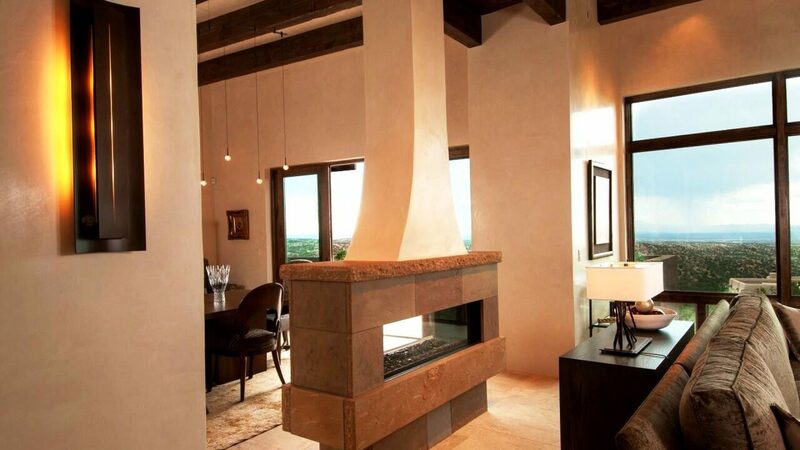 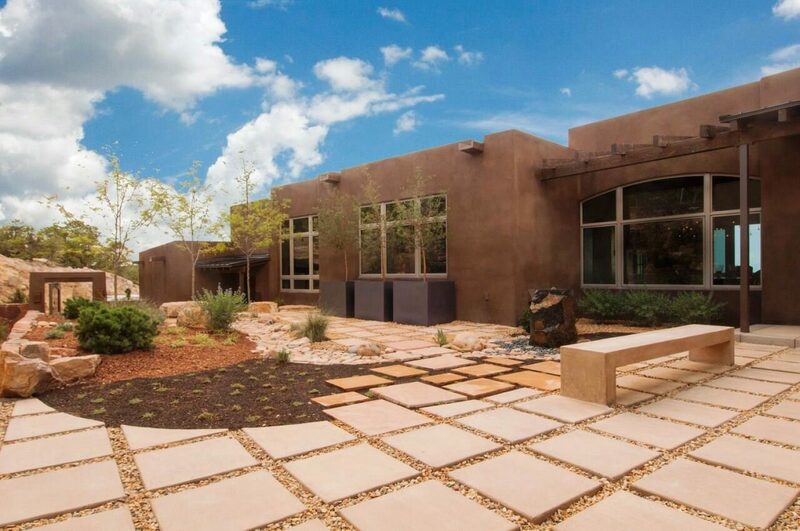 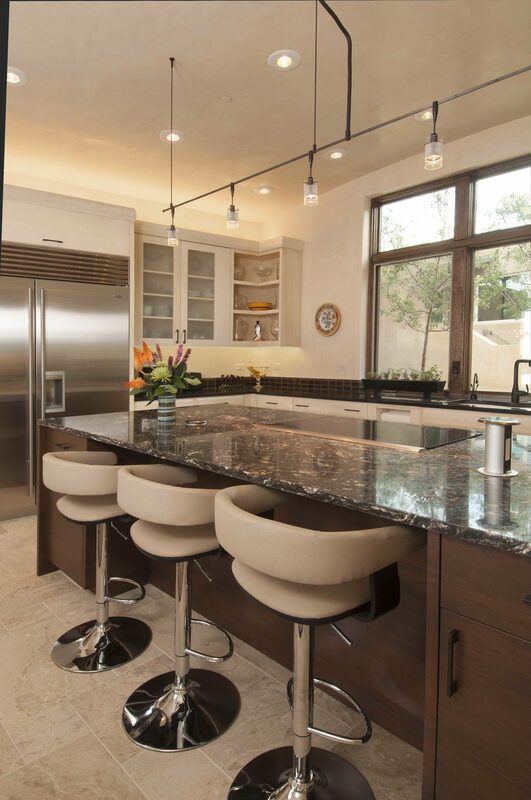 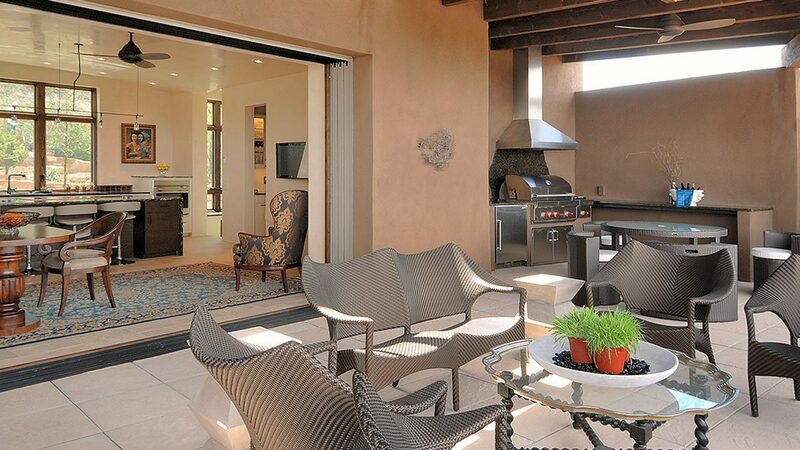 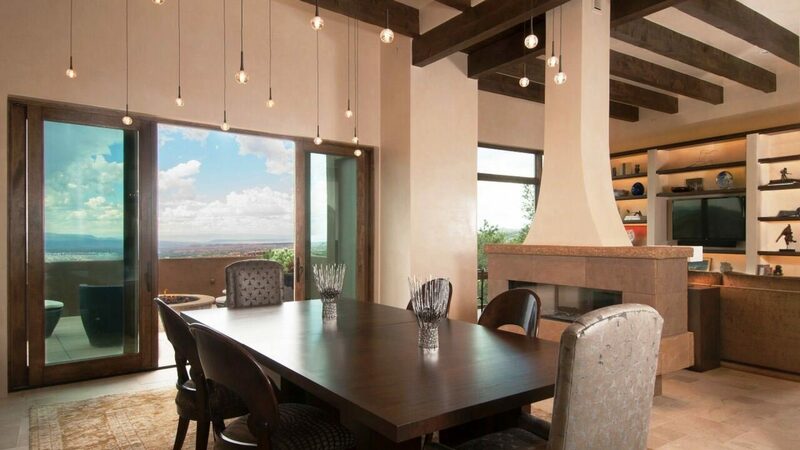 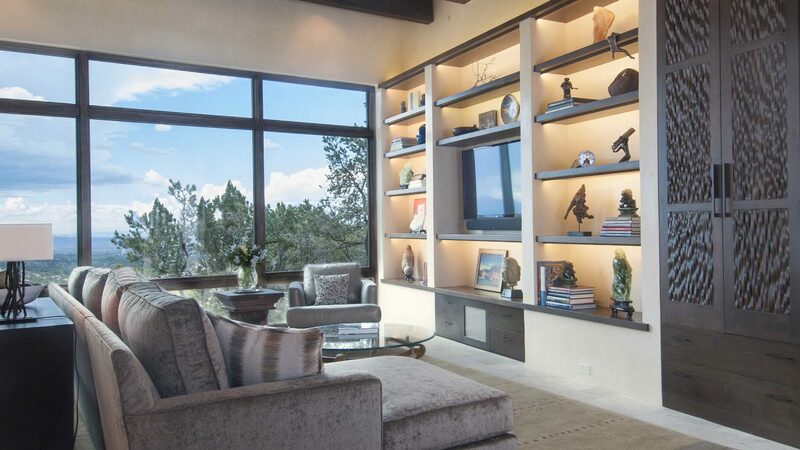 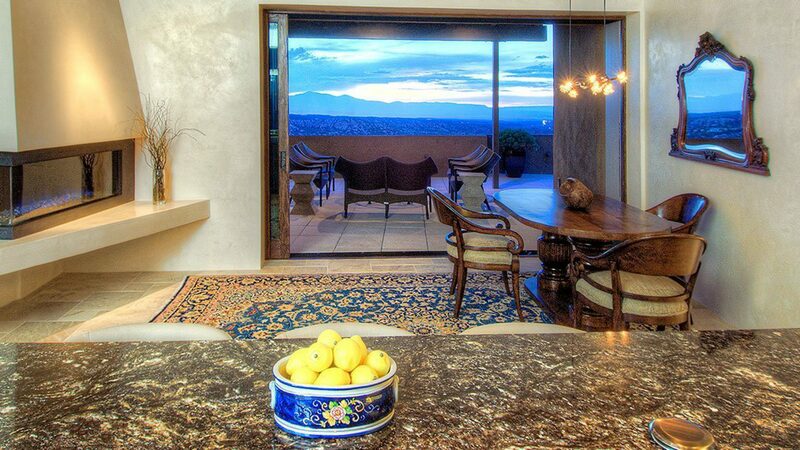 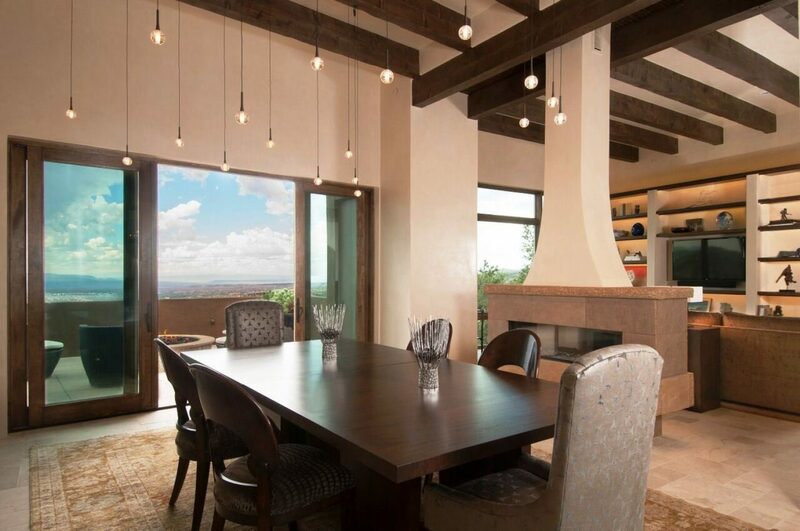 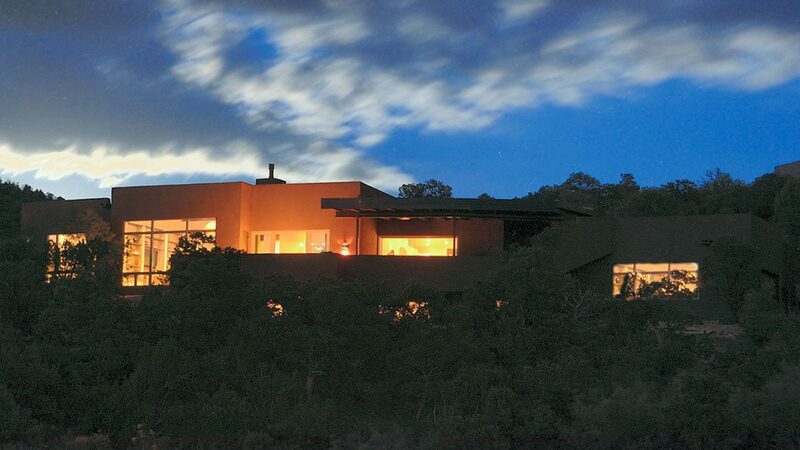 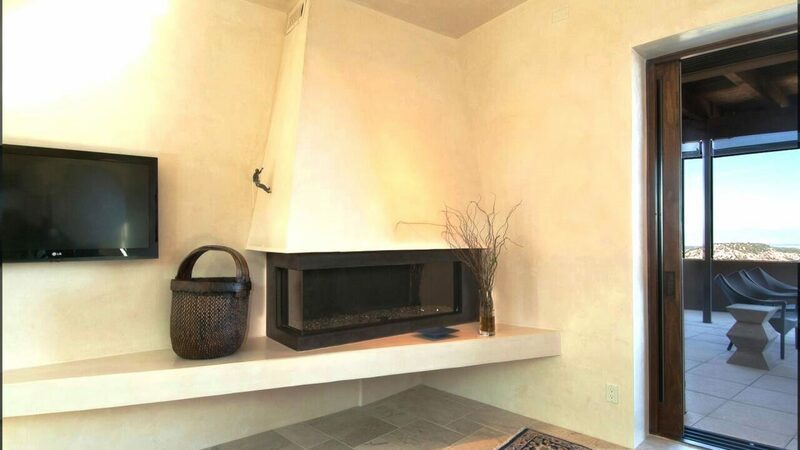 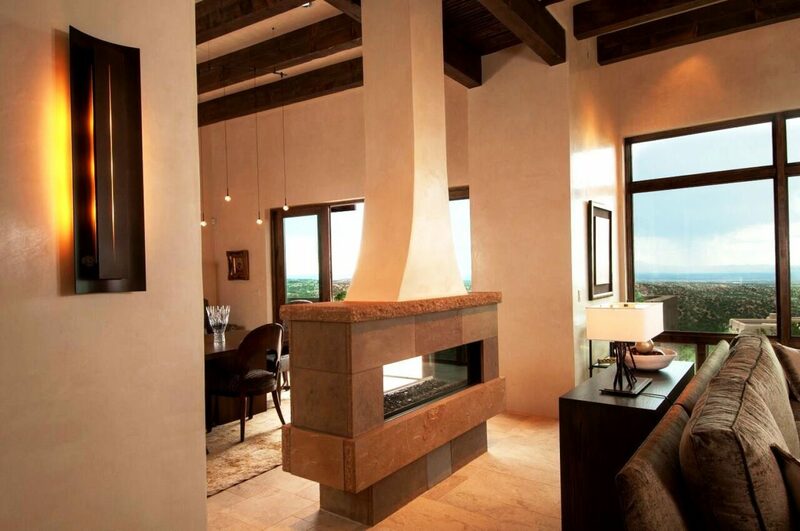 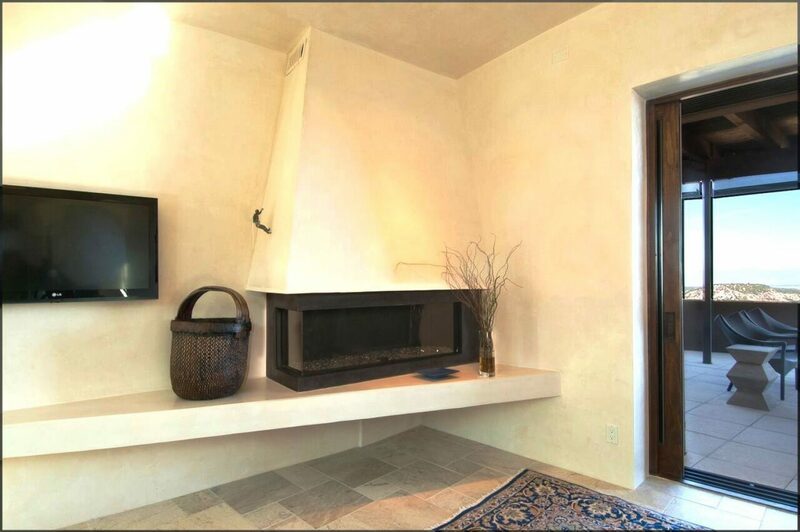 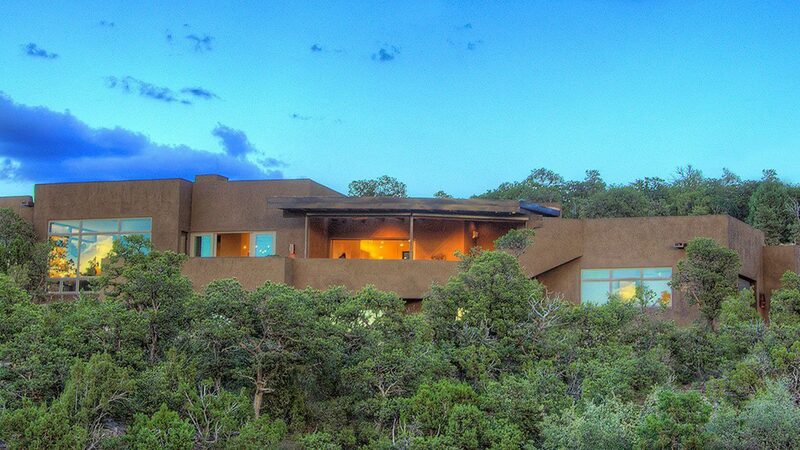 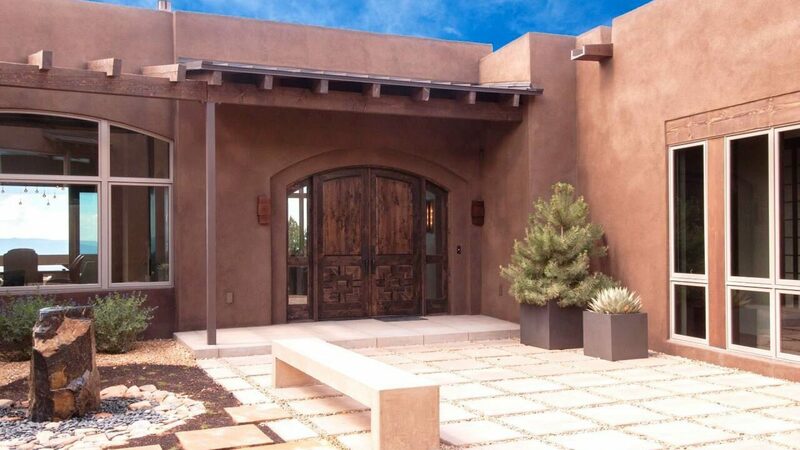 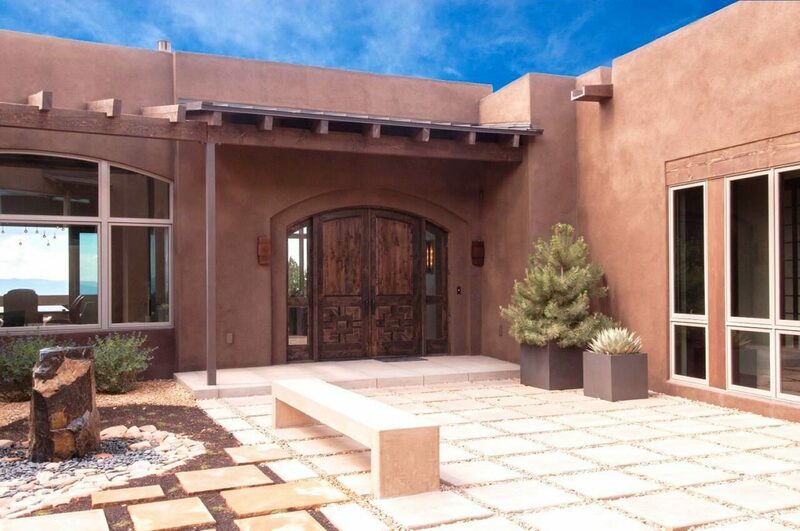 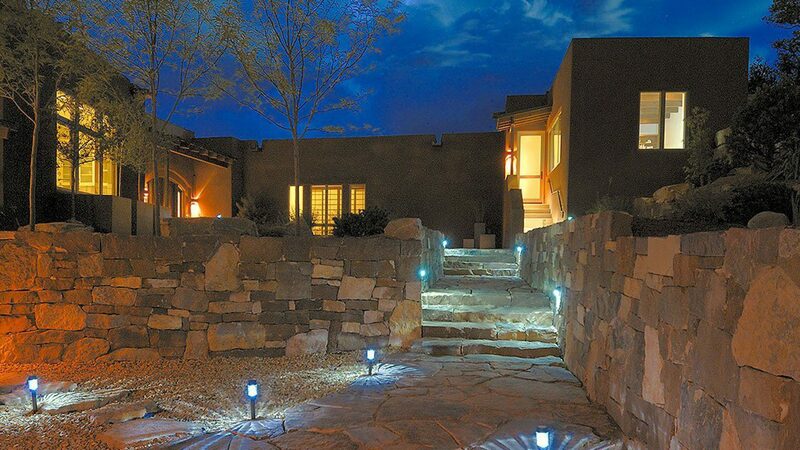 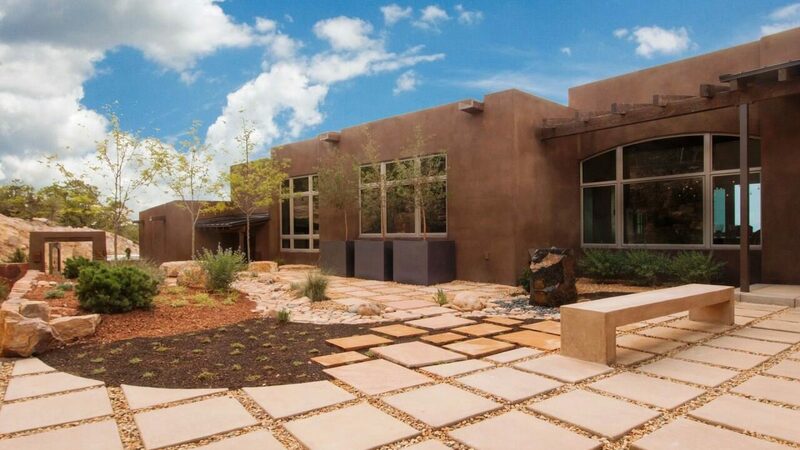 Melding classical and modern design in Santa Fe, NM, this custom home is nestled into a hill high above the famous Bishops Lodge, soaking in the views and luxuriating in the landscape, becoming one with the land. 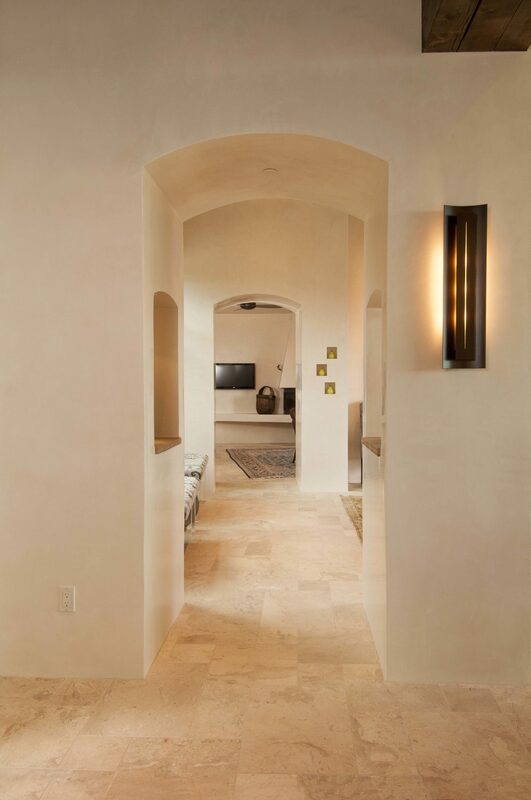 Built around a plaza, a concept mastered in Mexican architecture, with activity surrounding from all sides, it creates a feeling of intimacy through proximity, connecting individuals in different areas of the home. 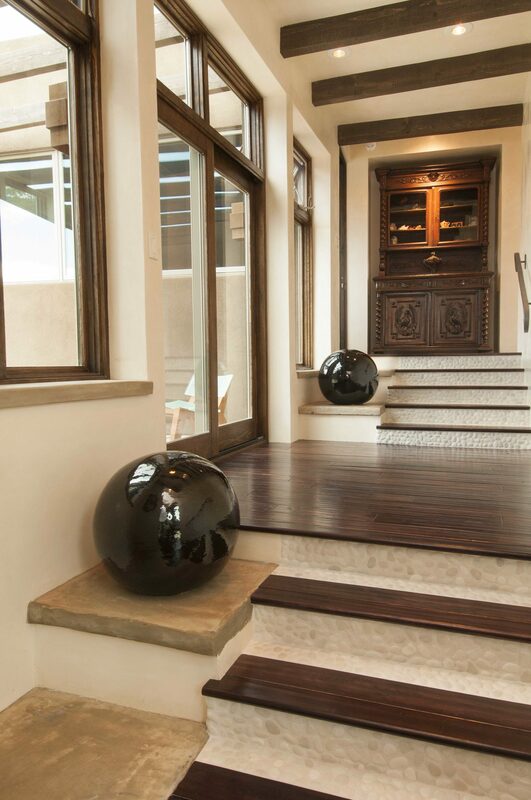 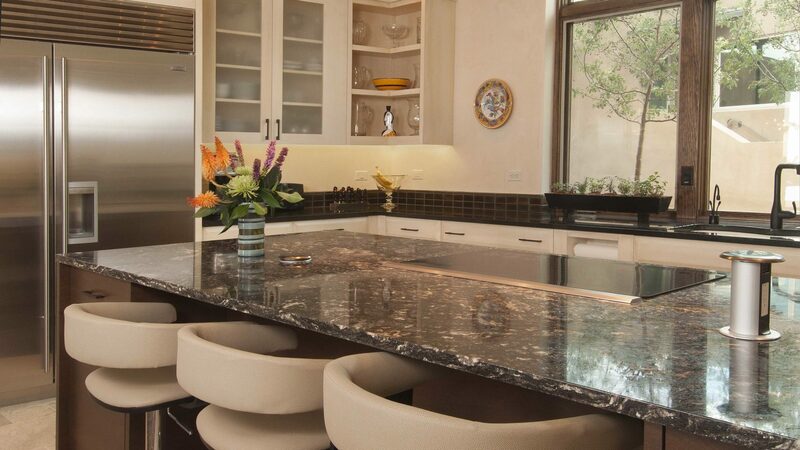 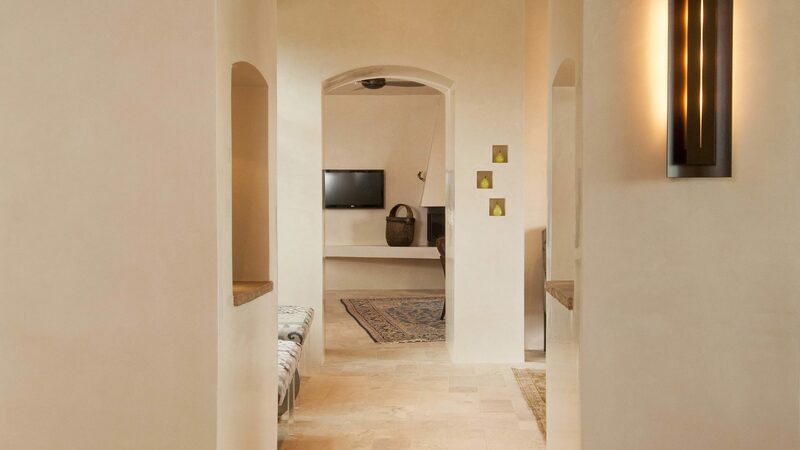 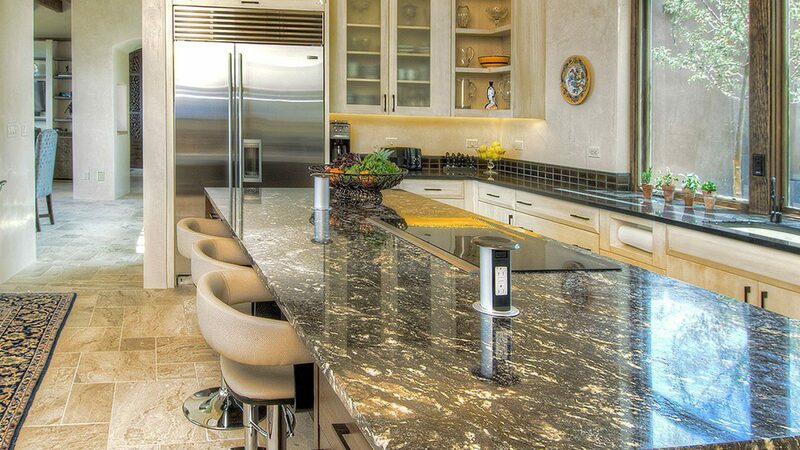 The open and airy floor plan immediately draws one in, featuring extensive custom materials and finishes, from hammered iron stair railings to floor to ceiling bookshelves and cabinetry, showcasing the owner’s rare collection of art and antiquities, all melting into the creamy plaster walls. 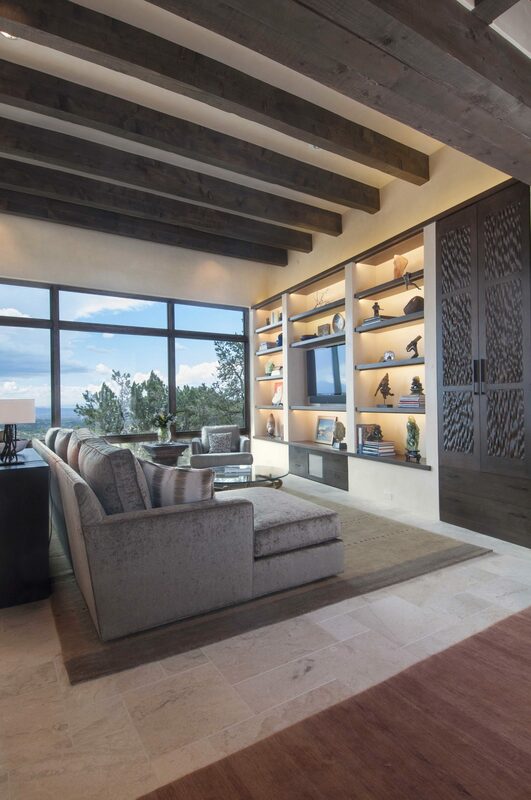 With a natural curvature to the home, each deck, portal and window offers unique views, allowing light to enter each room at different angles with changing patterns throughout the day.